17. 02. 2019 13:36 19 (3 - Suninen Teemu / Salminen Marko): The good pace here has given me confidence, but in the end there are no points. Ok, there are positive things. Now I need to prepare for the next rally. 17. 02. 2019 13:29 18 (3 - Suninen Teemu / Salminen Marko): Let's see. The feeling was better with the car. 17. 02. 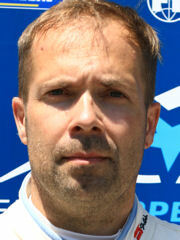 2019 13:20 17 (3 - Suninen Teemu / Salminen Marko): First I have to thank the team for an amazing job to repair the car. Now I need to rediscover the driving rhythm. 17. 02. 2019 04:19 14 (3 - Suninen Teemu / Salminen Marko): Another off at 11.9km. He slides wide on a fast right-hander and half-rolls into a tree. The tree stops the roll, but it looks to have damaged the roll cage behind the co-driver. If the cage is damaged, that will be game over for Suninen in Sweden. 17. 02. 2019 04:10 13 (3 - Suninen Teemu / Salminen Marko): Let's see. This stage was an okay time. We were trying to take care of the tyres. 17. 02. 2019 04:01 12 (3 - Suninen Teemu / Salminen Marko): Some big ruts and we were driving quite a lot on the sump guard. Ok, the time wasn't too bad. 17. 02. 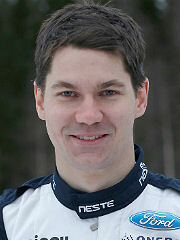 2019 03:49 11 (3 - Suninen Teemu / Salminen Marko): It's a big shame that we lost everything in one stage, in one corner. Now we have to do the best we can. 17. 02. 2019 03:44 10 (3 - Suninen Teemu / Salminen Marko): We just got sucked into a snow bank and got stuck, he explains. "Too much speed and lots of loose snow. 17. 02. 2019 03:35 9 (3 - Suninen Teemu / Salminen Marko): In the really fast sections I was taking it slightly carefully and losing time. Looks like I'll need to be on the limit all the time to get the top times. I'm feeling confident but we cannot make any mistakes. 17. 02. 2019 03:15 8 (3 - Suninen Teemu / Salminen Marko): The feeling is amazing. Leading overnight is what everybody is aiming so I can be more than happy with the job I have done. We had a really good pre-event test and the team all pushed in the right direction. I really enjoyed my drive today. 15. 02. 2019 17:11 7 (3 - Suninen Teemu / Salminen Marko): That's good. We were taking it a bit carefully. It looks like we should push more, but that comes with big risks. It's a good feeling to be leading but the question is how we finish the rally. 15. 02. 2019 15:52 6 (3 - Suninen Teemu / Salminen Marko): That's nice to hear. It felt really good! Big moments but ok, that's the game. We have to go flat out. 15. 02. 2019 14:28 5 (3 - Suninen Teemu / Salminen Marko): I have a good feeling, and it's a pretty good time. But these are very difficult conditions. A lot of slush outside the line, aquaplaning too, but that's the game. 15. 02. 2019 10:29 4 (3 - Suninen Teemu / Salminen Marko): I have a good feeling, which can be dangerous. I just need to continue like this and avoid mistakes. 15. 02. 2019 10:04 3 (3 - Suninen Teemu / Salminen Marko): I can be happy with this driving, but the lines are quite wide. I'm not sure I have any bumpers left at the front or rear. 15. 02. 2019 09:50 2 (3 - Suninen Teemu / Salminen Marko): The grip is amazing but I couldn't use the car as I wanted. We can go much faster.